The first recording on the King’s record label featuring an alumnus of the College has received critical acclaim in the weeks following its release. 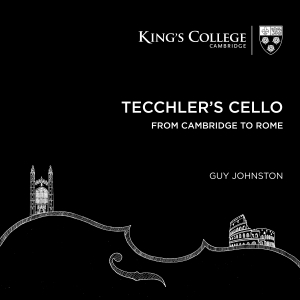 Tecchler’s Cello: From Cambridge to Rome features the cellist and former King’s chorister Guy Johnston and is a celebration of his 300-year-old Tecchler cello. The album charts a journey from Cambridge – where Guy’s musical life began – to Rome, where the cello was made, 300 years ago. Tracks were recorded in King’s College Chapel, Hatfield House, the Royal Academy of Music and on Rome’s premiere concert stage. Many of the reviews highlight the three contemporary works on the recording – new works for cello by David Matthew, Mark Simpson and Charlotte Bray were commissioned specially for this recording. Classical Music Magazine has given the album a five star review, writing that Johnston’s playing is a “stunning tour-de-force”; his performance with Sheku Kanneh-Mason of Barrière’s G Major Sonata is “pure joy” and Respighi’s Adagio con variazioni is “magnificently lyrical”. Gramophone also highlights the Barrière, noting that Guy and Sheku “revel in the music’s intimate camaraderie”, while The Arts Desk describes the album as a whole as “all beautifully recorded and handsomely presented”. The album also includes other renowned artists including Tom Poster, Magnus Johnston, The Orchestra of the Accademia di Santa Cecilia under Carlo Rizarri, and The Choir of King’s College Cambridge under the direction of Stephen Cleobury. 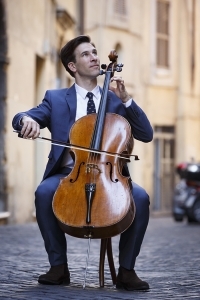 Tecchler’s Cello is available as a CD, to stream and to download.